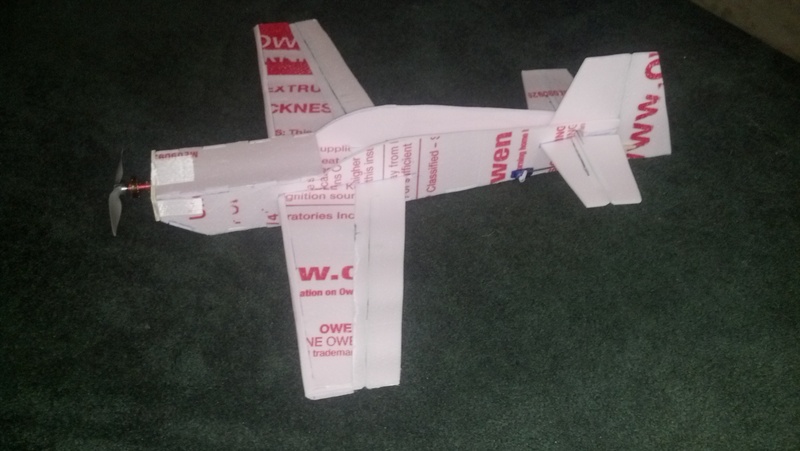 This is a homemade 3d plane I built last week that fly’s well. The plane flies great in all attitudes, it has a little bit of coupling in knife edge because of wrong place meant of battery. It was a little lacking in power, but I’m acquiring a gws 8x4.3 in the next few days which will give it greater static thrust, and I’m going to try out 3 and 5 gram servos because I know the current ones are a little over powered. In the first flight it held high alpha rolls, hover, snap rolls, flat spins(inverted, normal, and knife edge), but in knife edge it rolled to level out. i crashed it on a inverted flat spin, the wing tip touched the grass and snapped the tail (which was only half as strong as it should due to missing the top foam piece). 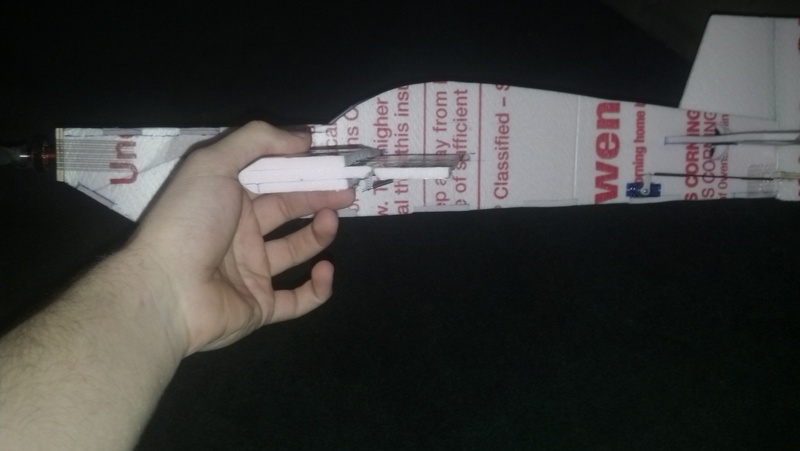 I’ll see about re building it Wednesday when my new prop comes in and posting video. I figured people could post their own designs for 3d planes here just with a few pics and videos, a description of how it fly&#8217;s, and the planes basic specs. not a great video, my camera is giving me problems with my long videos, so I&#8217;m working on fixing the longer ones in which I do alot more, but this is a couple minutes of flying today. With the gws prop it has so much power you need 2 or 3 prop saver bands because they will break under full power climb. out of all my stunt planes this one is the one i like the most, aside form the umx beast 3d.